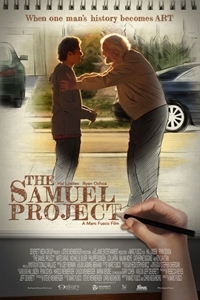 The comedic drama The Samuel Project is about a teenager who gets to know his grandfather Samuel for the first time when he makes him the subject of a senior year animated art project. With dreams of becoming a professional artist, the teen discovers that his grandpa, a Jewish dry cleaner, was heroically saved from Nazi capture in Germany by a young woman when he was a boy. After hesitating, Samuel agrees to tell his story for the project - a story he hasn't told in over 75 years. In the end Eli's project makes the finals in a countywide art showcase where he unveils his animated ‘Samuel Project' with the help of his unlikely friend Kasim, an electric guitar wielding school misfit. And after decades, three generations of Eli's family finally connect with one another.